Kathmandu is incredible on so many levels. An ancient city steeped in Buddhist tradition, Kathmandu has long been LEGENDARY on the Backpacker’s Trail- the ‘Tourist Ghetto’ of Thamel and the aptly named ‘Freak Street’ have been well-worn centers of tourist traffic for decades. Mountaineering outfitters and trekking offices EVERYWHERE; countless shops, cafes, and restaurants line the streets; a different Buddhist or Hindu shrine seemingly on every corner- throw in the neighboring cities of Patan and Bhaktapur, along with the rest of the beautiful Kathmandu Valley, and there is so much to see and experience in Kathmandu that one could spend weeks on end just getting to know the city and its surrounding areas. 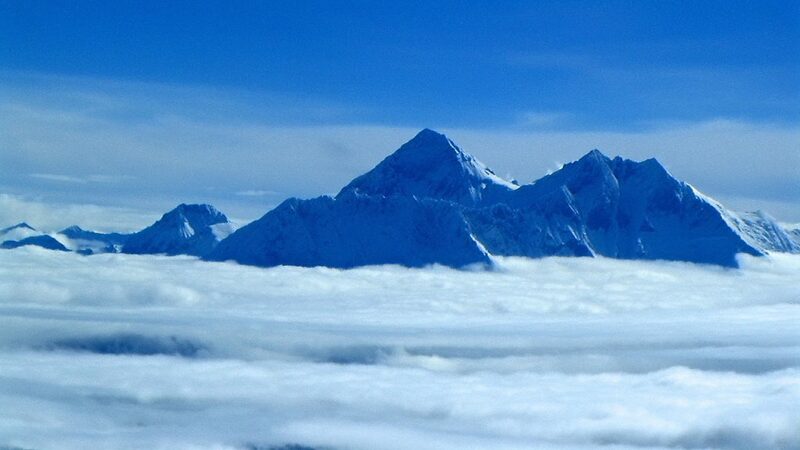 Kathmandu- unlike any other place on earth- we LOVE it! 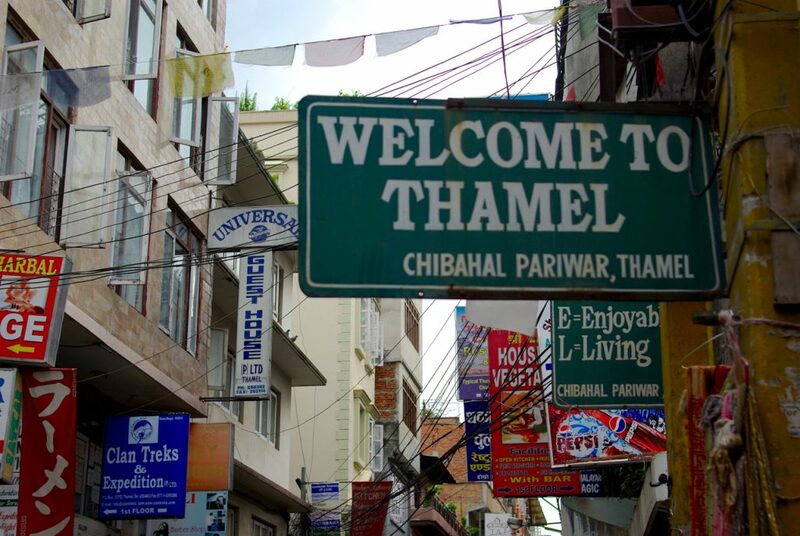 Hang out in Thamel- Wow- where to begin? Thamel is CRAZY, in that amazing ‘Buzzing tourist district in a very foreign country’ kind of way... Ambitious trekking touts hound you at every turn, unceasing TigerBalm hawkers haggle you along the streets, countless shops, cafes, guesthouses, and restaurants crowd each other for prime street-front real estate- it is a scene, for sure- one that provides hours of entertainment. Walk around the city- Kathmandu is incredible, and just walking around the city is an amazing experience in culture and history. There are shrines EVERYWHERE, and unique shops and cafes provide opportunities to interact with the friendly locals. 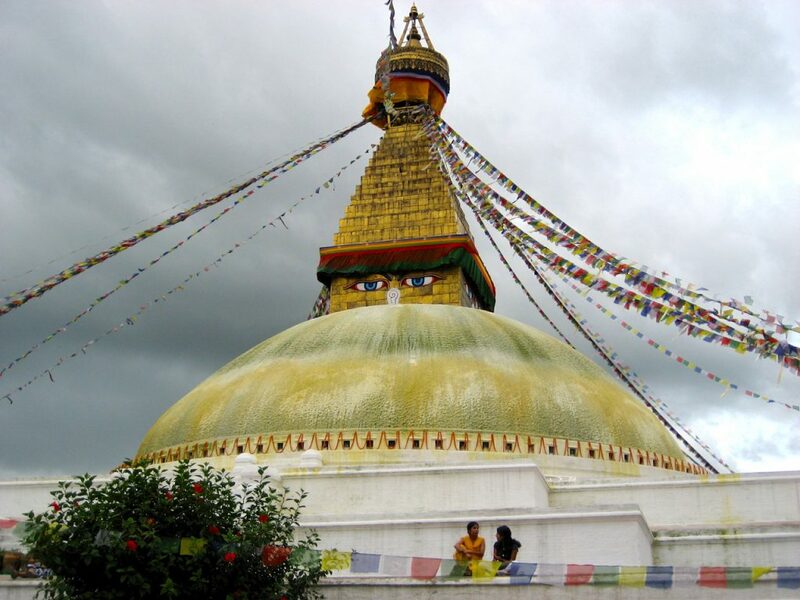 Visit Boudhanath- one of Buddhism’s holiest sites, the Boudhanath Stupa is magnificent. It is located about 7 miles outside of the city, and is well worth the trip. 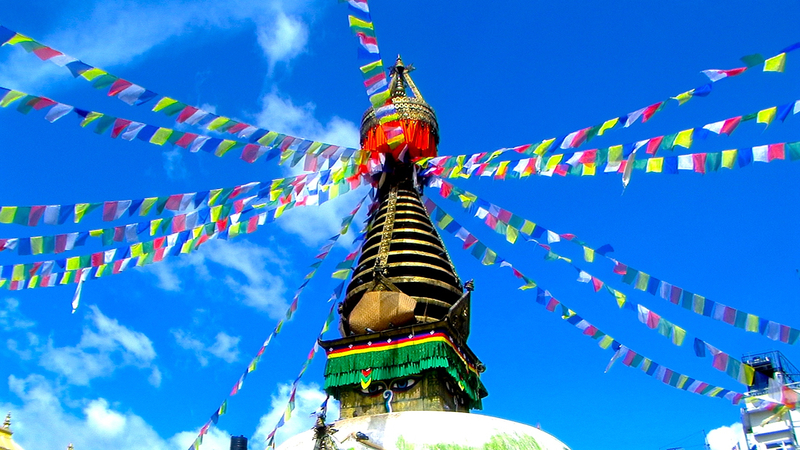 One of the largest stupas in all of Nepal, it is surrounded by interesting shops, and great cafes for just watching the world go by. DINE- the food in Kathmandu is INCREDIBLE, and, even better, it is CHEAP. You can dine like a king for a few dollars. Ask at your accommodation for recommendations, and FEAST. Again, arrange transportation to your accommodation prior to your arrival- this will take a lot of stress out of getting situated upon your arrival in Nepal. Also, double check your visa requirements, and ensure that you’ve got the correct amount in US DOLLARS- the customs officers in Nepal won’t accept anything else- not even local currency! If you’re looking to book a trek while in Nepal, Kathmandu is literally swarming with trekking and mountaineering offices. Do your research, figure out what type of trek you want to do, and then scout out a few agencies. The better ones will have Review Books- take time to read some customer reviews in order to get a feel for each individual agency, along with their guides. When you’ve decided on a trekking company, you can book almost all of your activities throughout Nepal through that one agency- it will make things cheaper, it will take a lot of the guess-work and leg-work out of planning, and your trip will be all the smoother because you’ve booked everything through one agent. HAGGLE- when you’re shopping along the streets in Thamel, nothing has a set price. Be sure to break out your keenest negotiating skills, while also keeping in mind that what may be a negligible difference in cost to you is probably a massive difference to the vendor. Bargain a fair price for your value, and leave it it that. DON’T FEED THE MONKEYS! 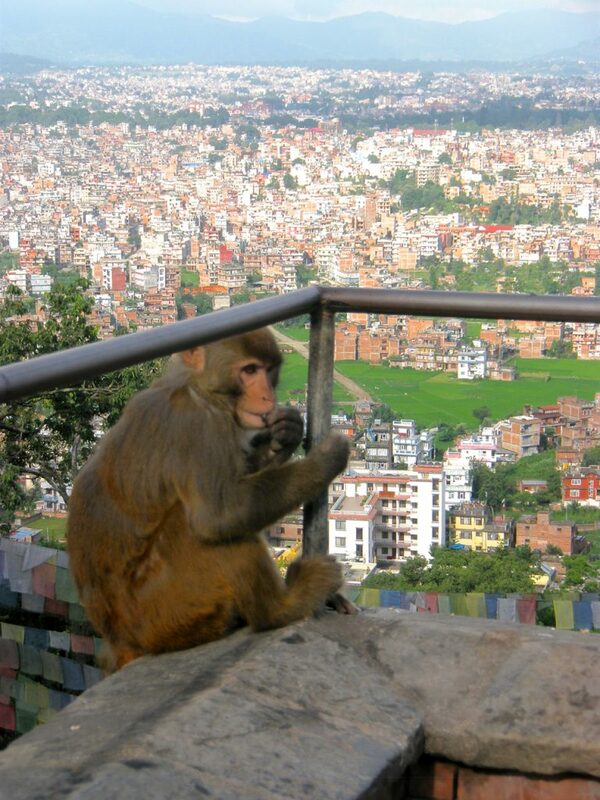 When you visit the Monkey Temple, don’t give the locals any free meals. We know they’re cute, but please- it only encourages their already brazen behaviour. Be aware- there have been reports of tourists being robbed/assaulted in the darker alleys off the main streets in Kathmandu after dark- travel in groups, use common sense, and look out for one another. It isn’t a dangerous city, you’ll just want to be aware of your surroundings.